Experienced Criminal Defense Firm. Trusted and Verified. Experience Matters! The consequences of being charged with a crime can range for a variety of reasons. But often times, who represents you can make the most difference. 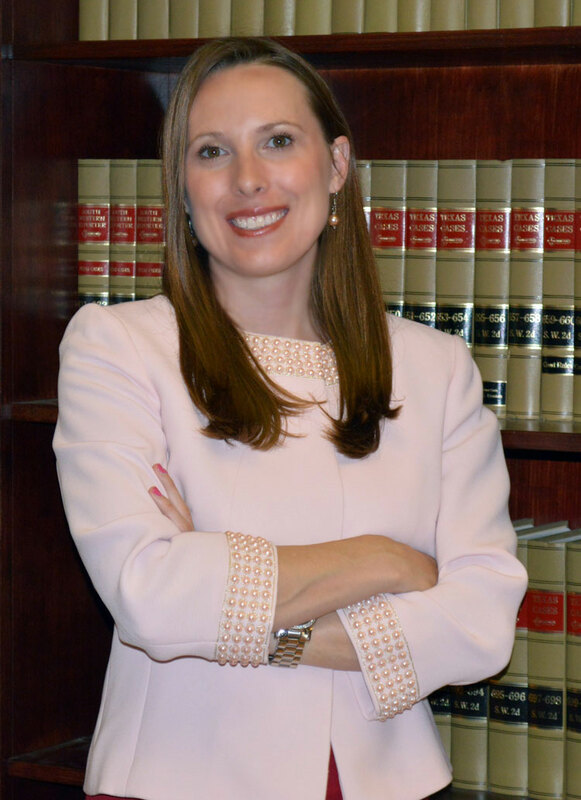 Conroe, TX Lawyer, Amanda Webb of The Webb Firm, P.C. is known for providing powerful trial representation in felony and misdemeanor matters. With former prosecutorial experience, we have personal relationships with the prosecutors and judges that extend beyond the legal community. Our goal is to provide the best defense with the utmost discretion. At The Webb Firm, P.C. we know that bad things happen to good people and we are here to help you. Our Conroe, TX Lawyer gives their clients personal attention and care that they deserve. We won't pass off phone calls to legal assistants or associate lawyers. When you call The Webb Firm, you always are in contact with the lawyer that you hired. Did you know you have 15 days from the date of your arrest to request a hearing with the DPS or you could automatically lose your license? It's extremely important to contact us if you recently were charged with a DWI in Montgomery or Harris County. Alcohol and drug-related traffic offenses, commonly known as driving while intoxicated (DWI), are frequently prosecuted criminal offenses in Texas. They are also subject to administrative penalties. If the alcohol concentration in a person's blood, breath or urine is.08 percent or higher, the person is considered intoxicated by law. Let our experienced DWI Conroe Lawyer help you with your case. With some circumstances under the Texas DWI laws, the legal definition of intoxication is met even if a person's alcohol concentration is lower than.08 percent. If the person is operating a vehicle, vessel or even water skis in a public place, he or she is considered to be driving while intoxicated, which is a Class B misdemeanor in Texas. The minimum amount of jail time in Texas for driving while intoxicated is 72 hours, unless there is an open container of alcohol in the person's possession, in which case the jail time is at least six days. Consuming any amount of alcohol while operating a motor vehicle also is an offense in Texas. In addition to jail time, a person who is convicted of Texas DWI the first time will have his or her driver's license suspended for 90 days to one year. Even if there is no conviction, the positive indication of alcohol from a blood, breath or urine test will result in automatic suspension of the person's driver's license. The person also may be required to complete an alcohol educational program for those who have operated motor vehicles while intoxicated. Refusing to submit to a blood, breath or urine test in Texas also carries penalties. If an officer has reason to believe that a person is driving while intoxicated, and the driver refuses to submit to a test, the person's driver's license will be automatically suspended for a minimum of 90 days if the person is 21 years of age or older, and for at least one year if the person is under 21. The period of license suspension increases with every subsequent test that shows an alcohol concentration above the legal limit, and with each time a person refuses to submit to alcohol testing. For example, if a person refuses to be tested for intoxication and there has been an alcohol or drug related conviction or license suspension within the previous five years, the person will lose his or her license automatically for one year. Under any circumstances, however, the person is entitled to a hearing. If the alcohol concentration in a person's blood, breath or urine is.08 percent or higher, the person is considered intoxicated by law. If an officer has reason to believe that a person is driving while intoxicated, and the driver refuses to submit to a test, the person's driver's license will be automatically suspended for a minimum of 90 days if the person is 21 years of age or older, and for at least one year if the person is under 21. If a person refuses to be tested for intoxication and there has been an alcohol or drug related conviction or license suspension within the previous five years, the person will lose his or her license automatically for one year. Depending upon the exact charge of your assault will determine the minimum and maximum punishment. It's important to familiarize yourself with possible outcomes and speak with an Assault Lawyer immediately. Domestic assault is among the few misdemeanor offenses in Texas for which a law enforcement officer can arrest you on the spot without really experiencing the event. All the officer needs is probable cause, such as witness statements or evidence of injury, to believe that you made severe threats or dedicated violence. The court system also has the tendency to err on the side of caution in household violence cases, permitting a judge to provide a safety order barring you from contact with the family member; suggesting you might not have the ability to return home instantly after your arrest. Hiring an experienced assault family violence lawyer is crucial and recommend you take your time and find a conroe lawyer you trust. You can be charged with domestic assault for a stove of actions, from threatening a spouse or sweetheart to attacking a member of the family with a lethal weapon. It isn't needed for you to injure the other individual to be accused of domestic violence. Ms. Webb is a founding member of The Webb Firm. She's a former assistant district attorney who was promoted to a court chief, ran the environmental crimes division, a member of the Brady committee and spear headed the prescription fraud task force is extremely well known throughout the community and respected by her peers. She has her Juris Doctorates from South Texas College of Law and her B.S. in Political Science from The University of Houston. She's highly involved in the Montgomery County Criminal Defense Association and is currently President Elect. Ms. Webb has more trial experience in her 10 years of practicing law than most do in their career. Amanda was awarded the Top 100 Trial Lawyers in 2014. Welcome To The Webb Firm, P.C.